She is from Sugar Land, Texas. Never traveled there or heard of it. She arrived home from Rio de Janeiro, Brazil after winning four Olympic medals. Her first stop was to pick up something sweet. Donuts, not Krispy Kreme but Shipley Do-Nuts. Never heard of them. Not until I jumped out of my chair after she won gold in the 100-meter freestyle did I actually hear of her. 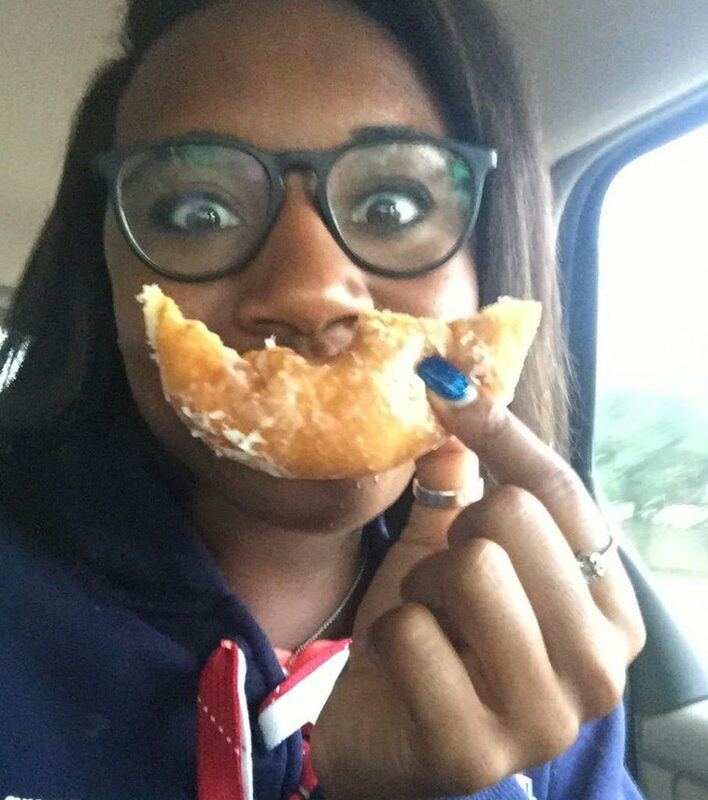 Simone Manuel. In winning the 100-meter freestyle, a tie with Penny Oleksiak of Canada, Manuel became the first African-American woman to win an individual Olympic gold in swimming and set an Olympic record and an American record. I have experienced so many sports moments, but the pundits expressed the Australian siblings Cate Campbell with little sister Bronte as heavy favorites of winning the race. Manuel winning touched my heart. Not just my heart but also African-Americans across the United States. Manuel and Oleksiak both touched the wall in 52.70 seconds, breaking the Olympic record by one-hundredth of a second. Sweden’s Sarah Sjostrom took the bronze in 52.99. Manuel and Oleksiak shared the top spot on the medal podium, with the U.S. anthem played first, followed by the Canadian anthem. Tears rolled down each of Manuel’s cheeks as she sang along. Tears of joy that carry history should never be taken lightly and time actually pauses for the good moments, a historic Olympic moment like this. I may not know Olympic facts moreover records, but I know African-Americans have been shut out of swimming pools for generations. Swimming pools have been a racially sensitive flashpoint in the United States for generations. African-American people were often denied access to pools in the segregation era, and even after its abolition, white people found other ways to exclude them. Building pools for black areas hasn’t been a priority either. Anthony Ervin is the only African-American male to win an individual Olympic gold medal in swimming. He tied for first in the 50-meter freestyle at the 2000 Olympics and is on the team again in Rio. This had a different feel. With the recent racial tensions involving police moreover a Black Lives Matter movement under a sitting black President, this gave me reason to smile. “It’s been a long journey, and I’m super excited with where it has brought me,” Manuel said. Her victory took on added significance in a sport that still has few people of color, especially in light of the racial divide in the United States. She mentioned “some of the issues with police brutality.” “I think that this win helps bring hope and change to some of the issues that are going on in the world, but I mean, I went out there and swam as fast as I could, and my color just comes with the territory,” Manuel said. Manuel, meanwhile, also became the first American to win gold in the women’s 100-meter freestyle since 1984, when Nancy Hogshead and Carrie Steinseifer shared first place. Manuel, who attends Stanford, is a member of the Cardinal women’s swimming team. She broke the school records in the 50, 100 and 200-yard freestyle in the same year, and in 2014, her freshman year, she also broke the American and National Collegiate Athletic Association (NCAA) records for 100-yard freestyle. Manuel is a two-time individual NCAA champion: winning the 50- and 100-yard freestyle in 2015. She is returning superior in the college pool than before she left campus. Yes, she looks forward to a time when there is greater diversity in the pool, but the sweetest thing of all is the barriers broken will only be nonstop inspiration in the sport alone, not added race.